"There was very little training needed for our internal developer to be able to add the Fusion charting functionality to the applications we already have"
Angell-Demmel has very quickly become a global market leader for manufacturing real metal automotive trim parts for interior and exterior decoration. In a rapidly changing, highly competitive market, Angell-Demmel has positioned themselves with quality products; real metal design elements of unsurpassed performance, quality and visual appeal. They supply economical and technical real metal products for high volume production and place focus on creative, innovative solutions. To satisfy their customers and gain an edge on obtaining others, they constantly look to the future and thoughtfully develop new technology, new trends and new styles. Customers include many automotive industry leaders as well as non-automotive customers that need real metal custom trim. The business challenge being faced was related to inventory forecasting. 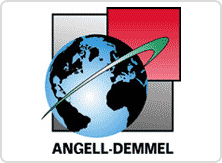 Forecasting at Angell-Demmel is based on part number pulled directly from an existing ERP. Parts are shipped to multiple customers and they were finding it difficult to have enough of particular parts in stock. When looking at forecasts, many times orders exceeded the forecast and it was difficult to see which customer was exceeding the agreed forecast. They needed an efficient way to see how individual customers were performing per the agreed forecast or if they were pulling ahead more than was agreed to and if so, by how much, etc. The project began by creating a simple application (about 1 hour to develop) that let them see orders for parts by customer. The process of running the report simplified the original process from 2 hours to about 30 seconds. 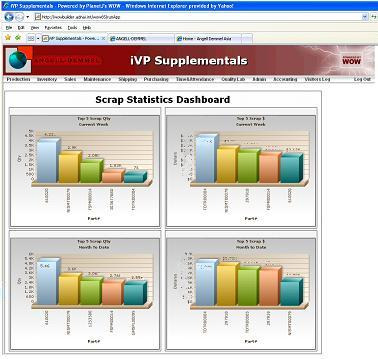 However, this only gave the data that was in the ERP system. It was still necessary to take the information and manually check it against forecast information. Another department had to get involved and it was still taking over an hour for an answer. 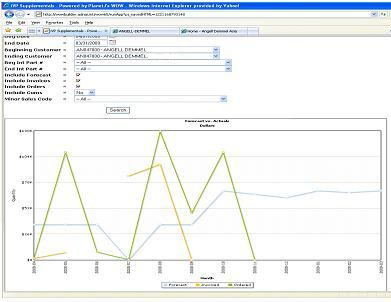 In phase two, developers undertook moving the data from the Excel external system to their ERP. This integrated application validated the information as it was being entered. Also added was appropriate authentication for security purposes allowing people to add comments to particular orders. After this phase, they had an accurate comparison of orders, sales and forecast by customer and parts. This allowed Angell-Demmel the ability to push back on a customer if they exceeded agreements making them responsible for further shipping cost and allowing them to be able to expedite charges where appropriate. The applications revealed several large overages. The third phase (incorporation of WOWFusion charts) enabled Angell-Demmel the ability to put a picture (chart) to the numbers making it easy for everyone to understand. The below screen shot demonstrates Angell-Demmel's dollar forecast for customer parts. Original forecast is charted against what was ordered and what has been invoiced. This allows Angell-Demmel's employees to compare numbers to see where inventory (and money) is being lost and act efficiently toward a resolution of the discrepancy. **All images have been distorted for confidentiality.